Portuguese owe existence of their country to a Christian crusade against Moors living in Iberian Peninsula. In 1139 Alfons I, count of newly conquered Portugal after another successful battle announced himself King of Portugal. 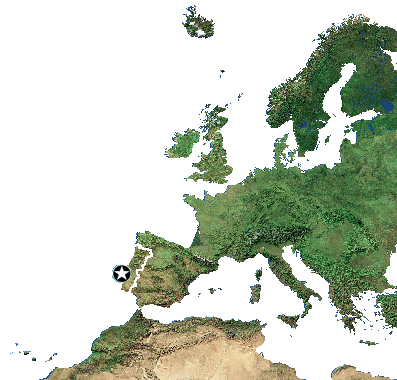 In the next 100 years Portuguese pushed the Moors southwards and reached today's territorial extent. At the same time however, as a smaller neighbour of Spanish kingdoms of Leon and Castile, Portuguese were fighting for independence, which was achieved in 1385 when Castile dropped their claims to Portuguese throne. The following centuries are Portugal's colonisation period triggered by technological progress in navigation and sailing. Colonies brought wealth and cultural development. In 1919 monarchy was replaced with republic, dictatorship with democracy in 1974 and thus Portugal already without independent colonies joined the European Community in 1986, which became the European Union. © 2010-2019 :: Adam Kubicki :: COINZ.eu :: All rights reserved.